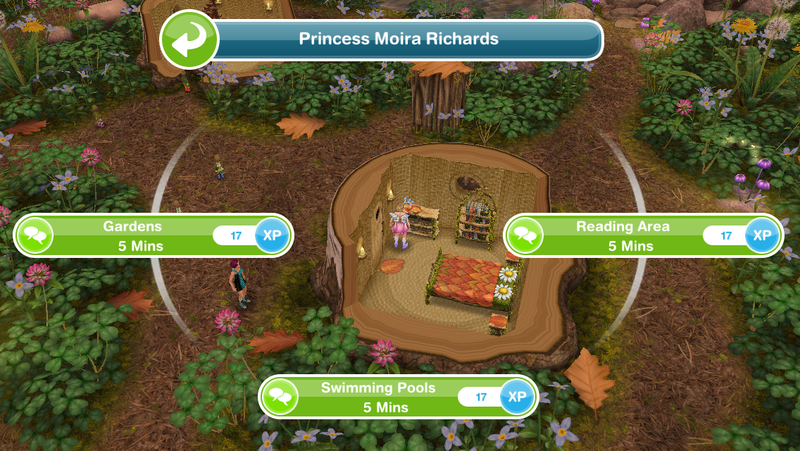 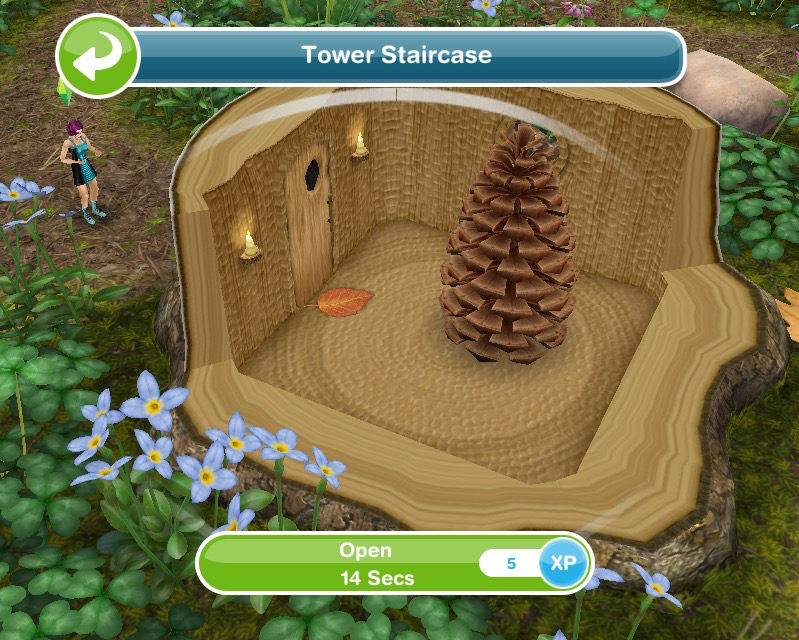 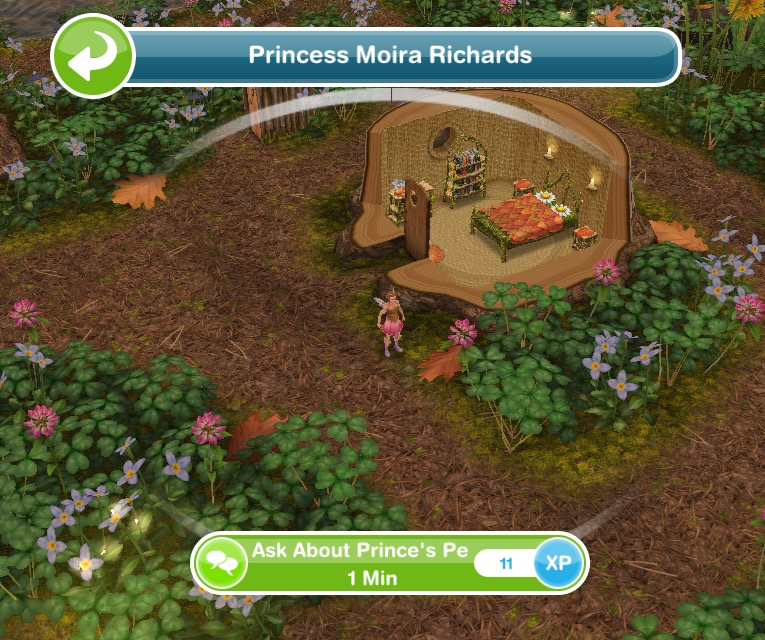 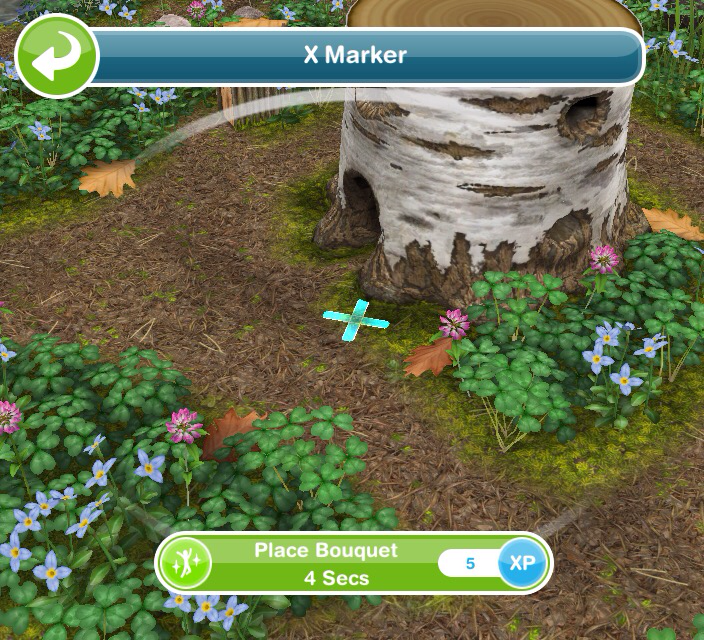 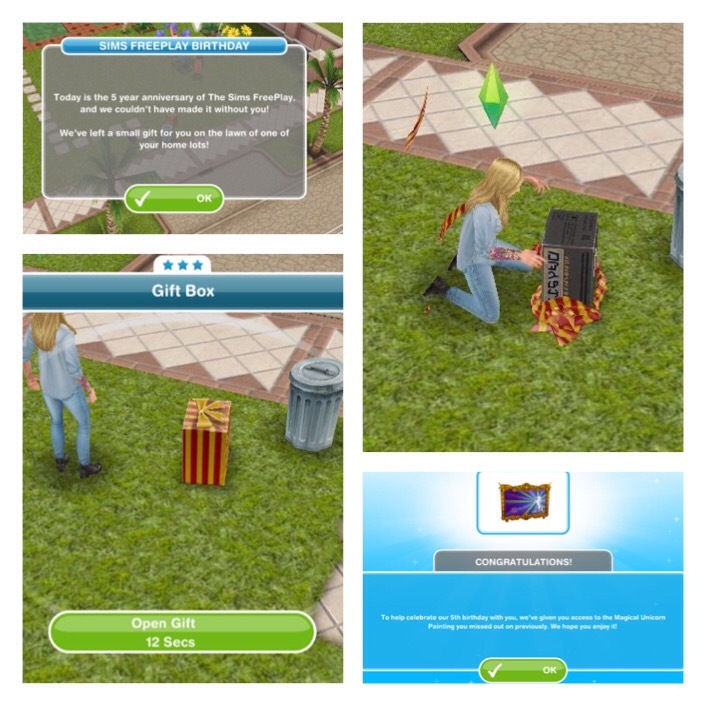 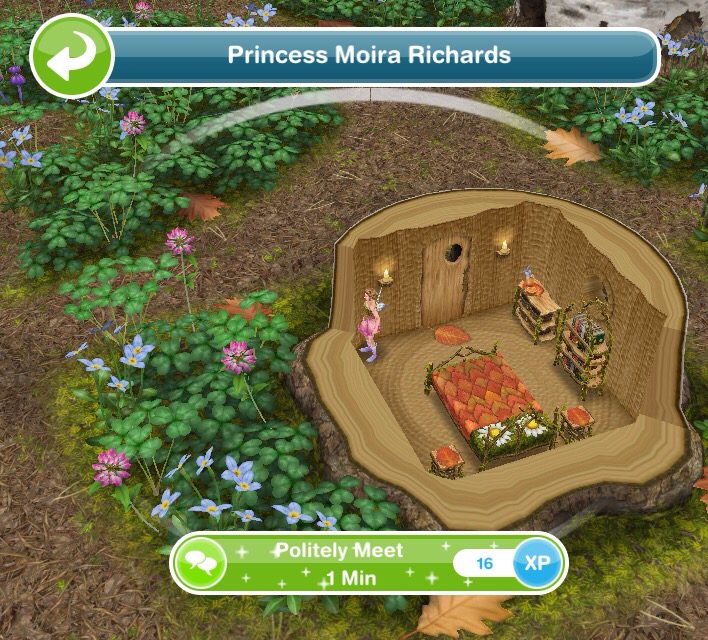 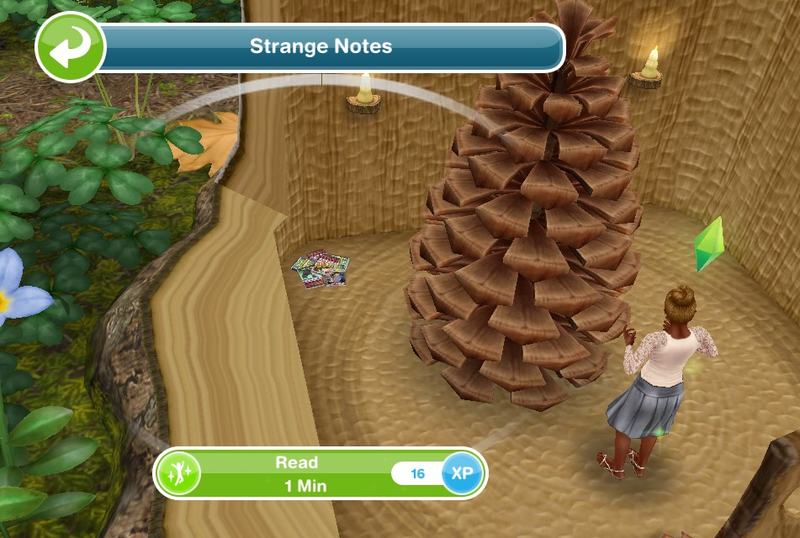 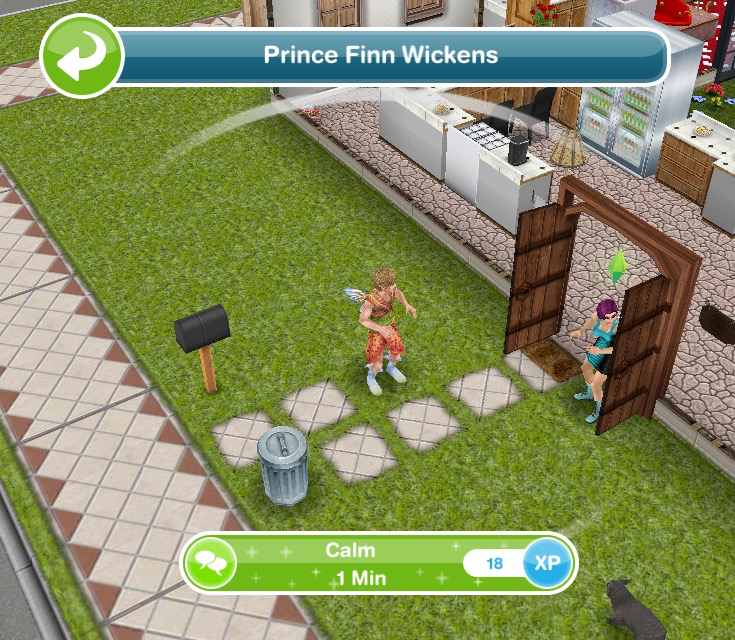 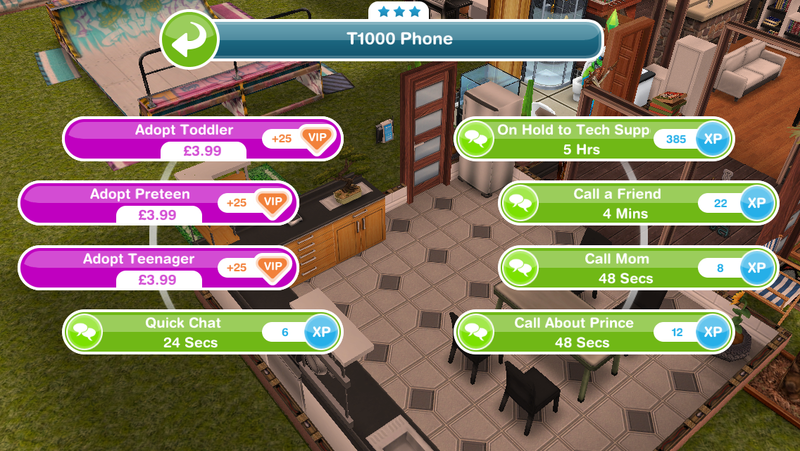 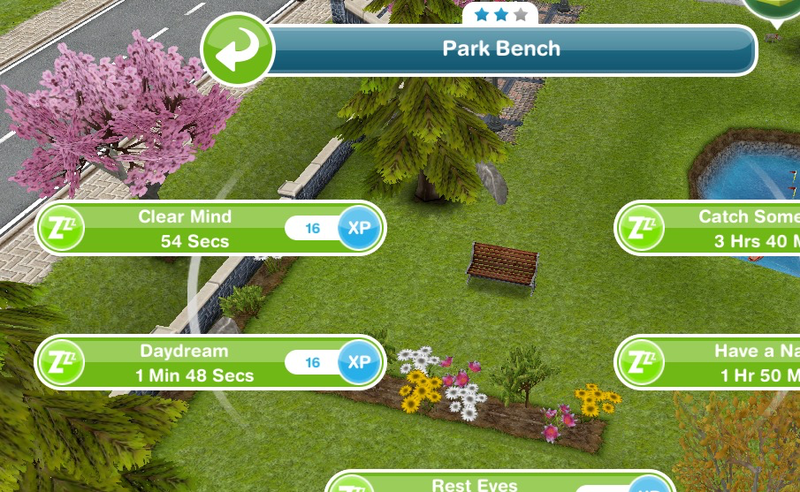 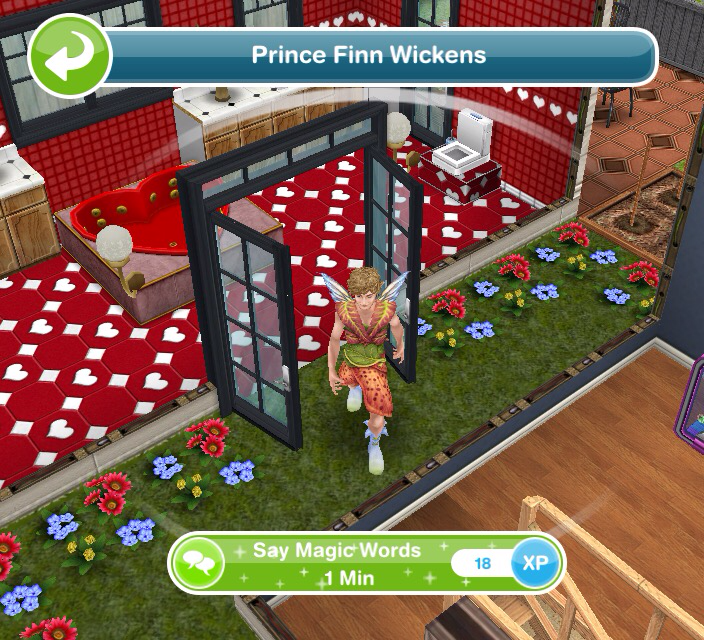 Happy 5th Birthday The Sims Freeplay! 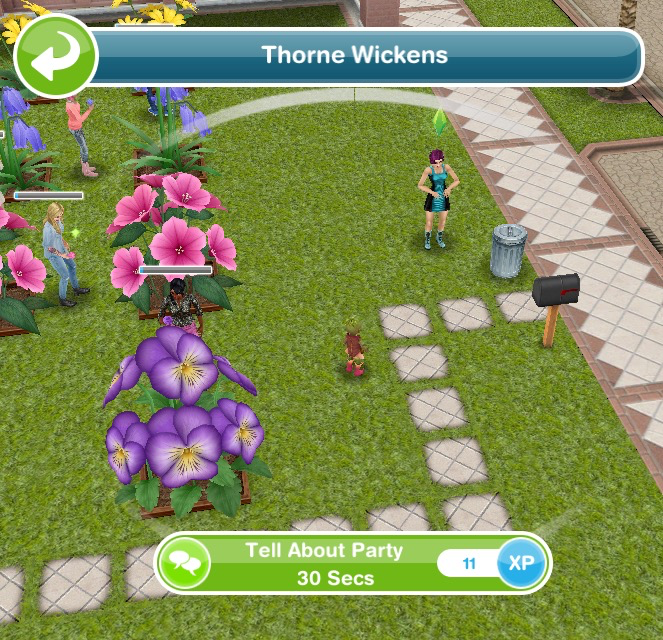 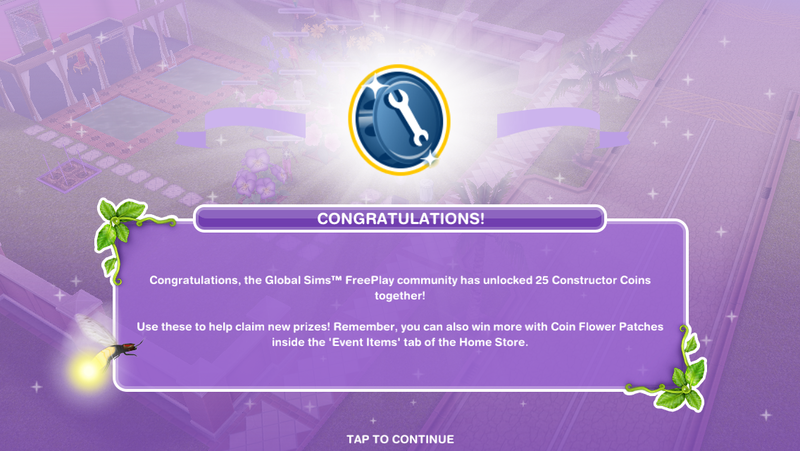 Today is the 5th birthday of the sims freeplay! 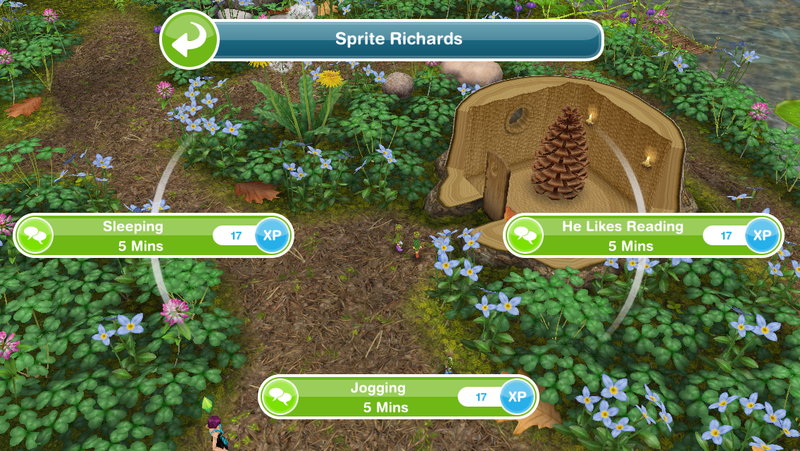 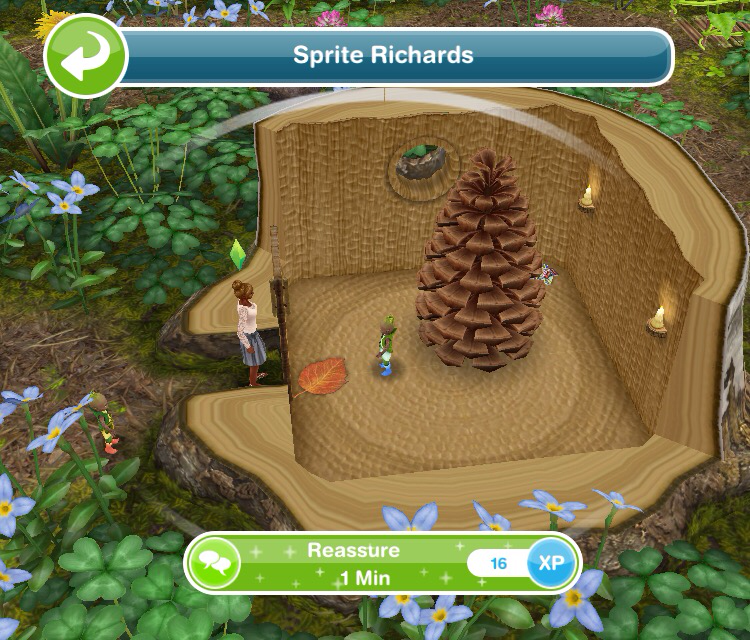 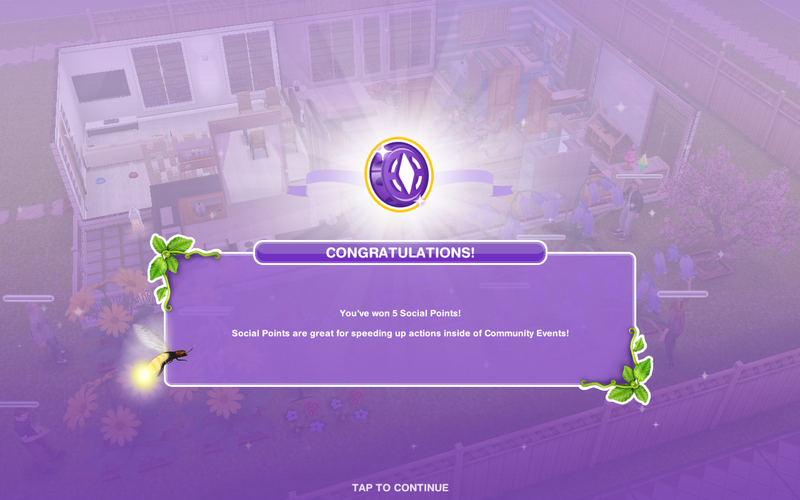 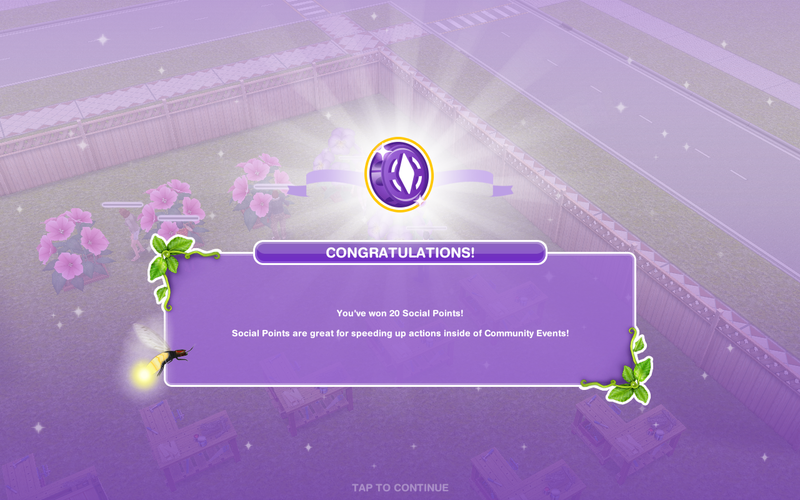 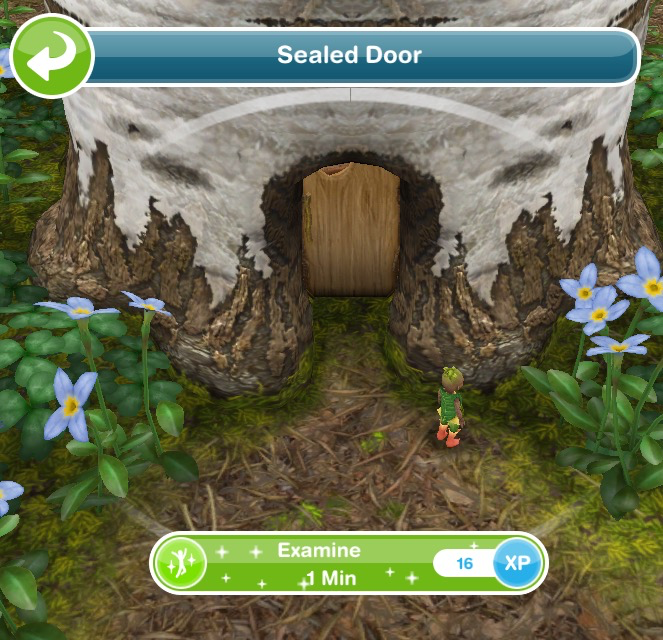 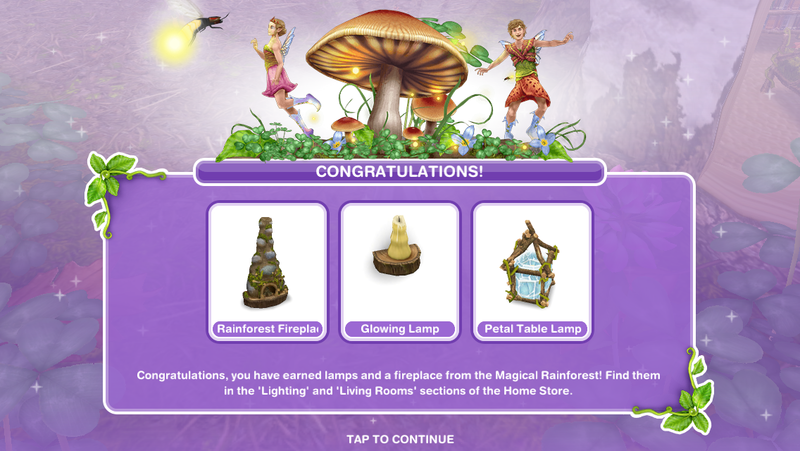 Which means today on your game you will find a gift at the front of one of your houses. 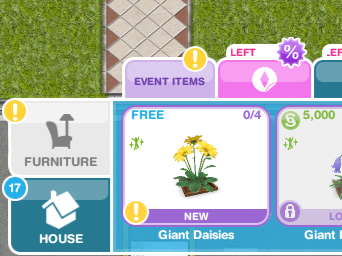 This will be a limited time prize that you missed out on or 20LPs if you already have all the prizes! 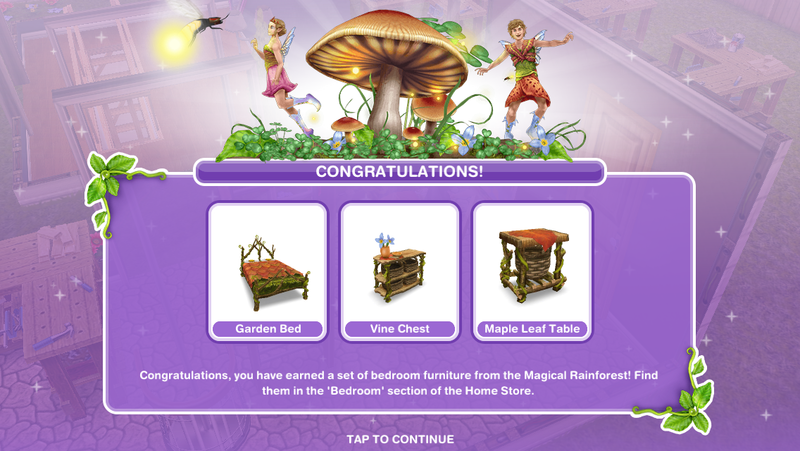 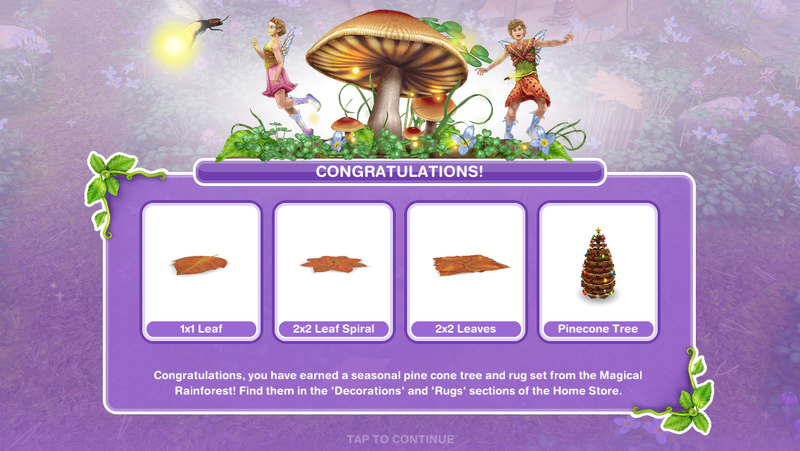 On one game I got the Unicorn Painting and on my other game I got 20LPs! 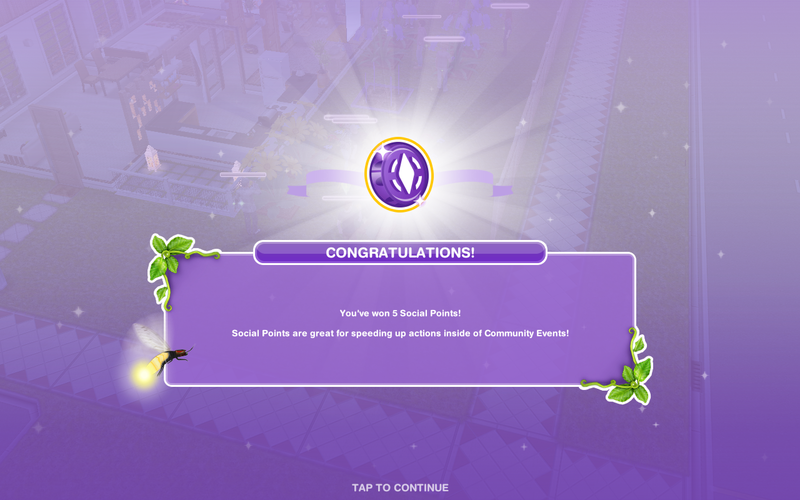 The Christmas update this year is very different because instead of a normal quest we have another community event! This event is available for 16 days (make sure you have the latest version of the game!) 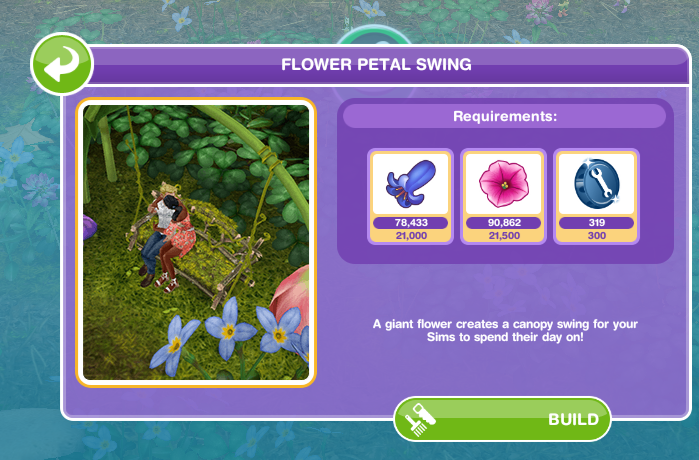 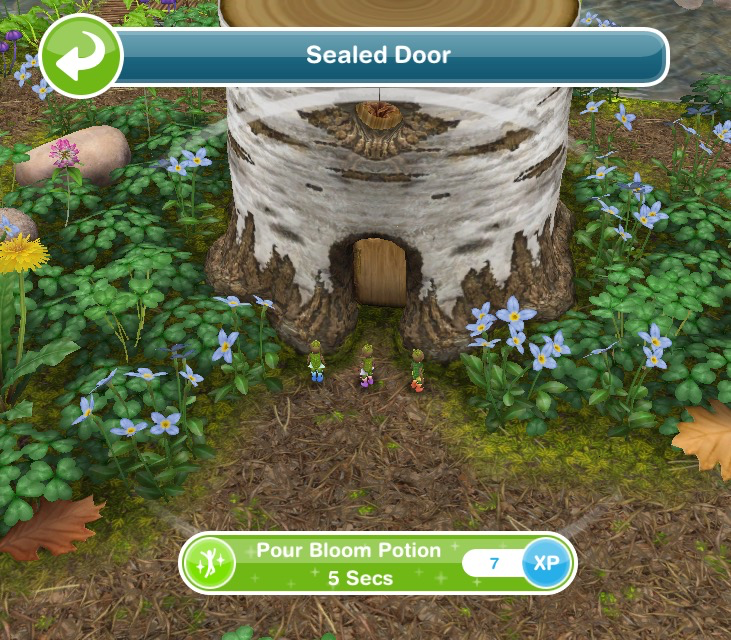 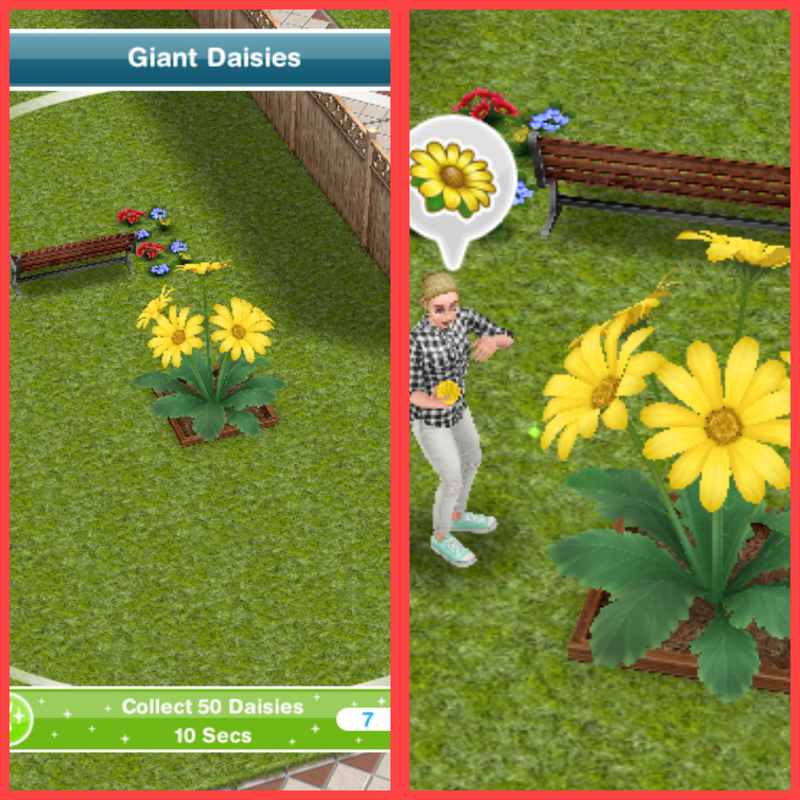 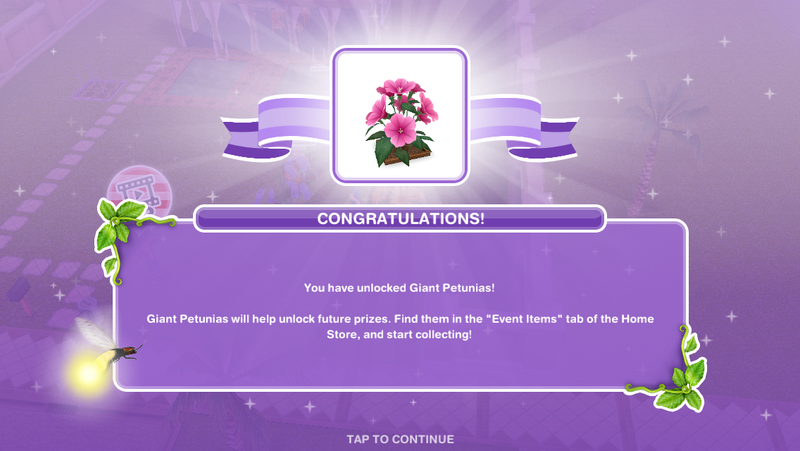 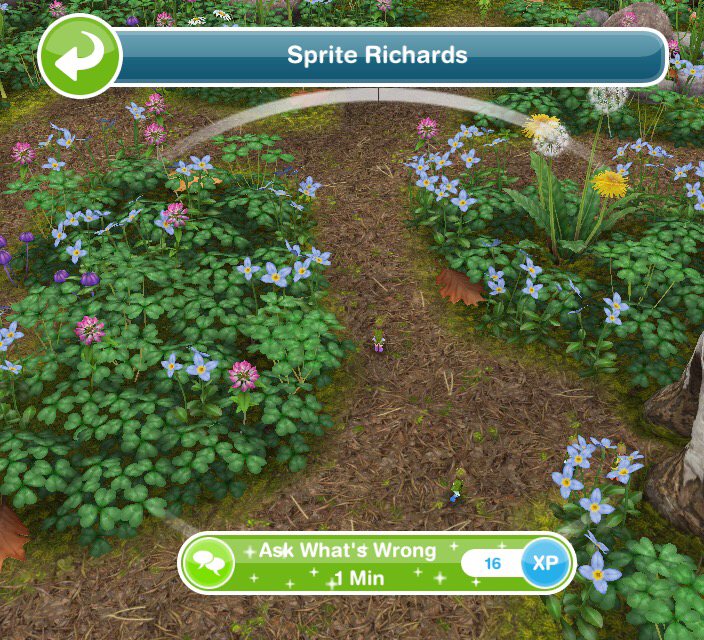 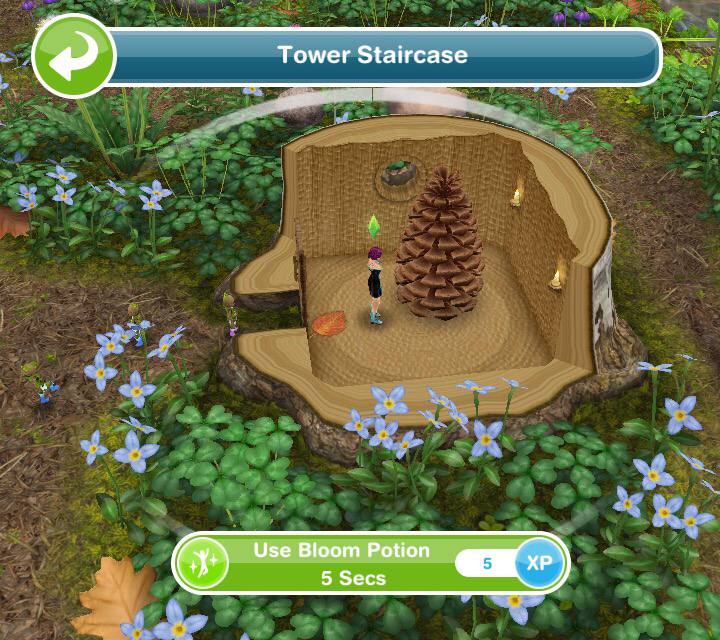 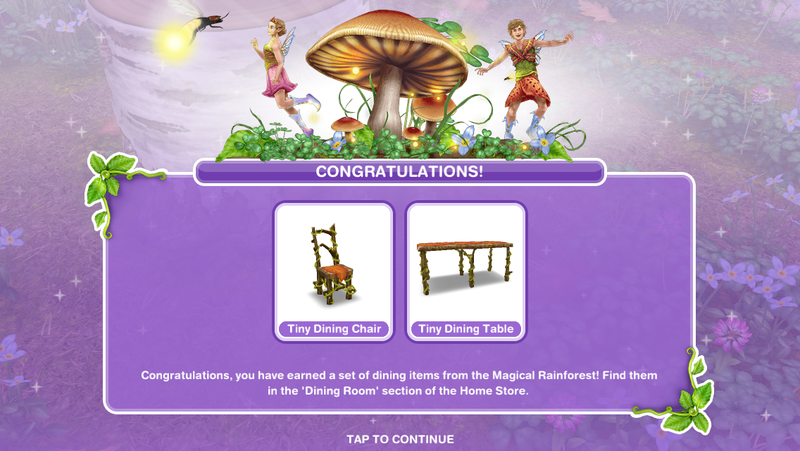 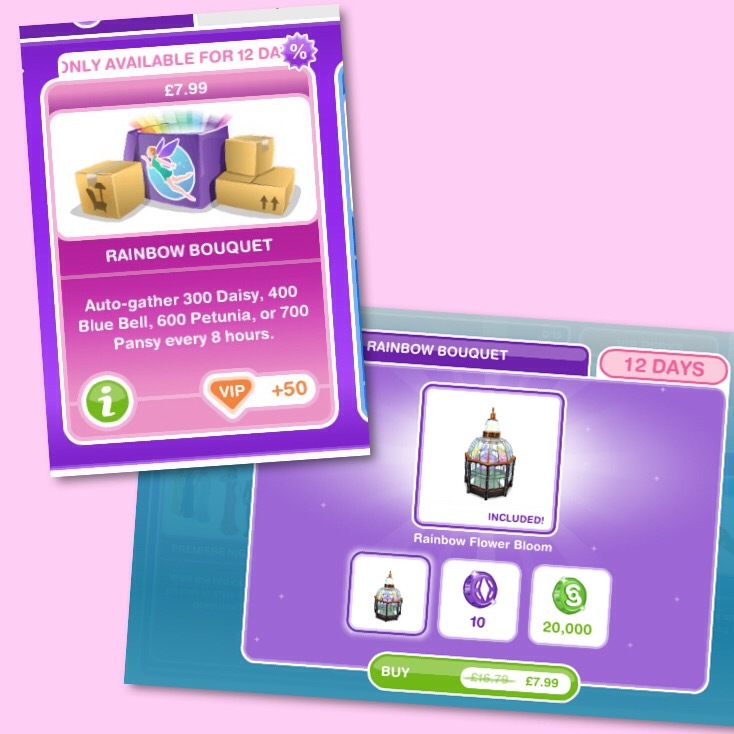 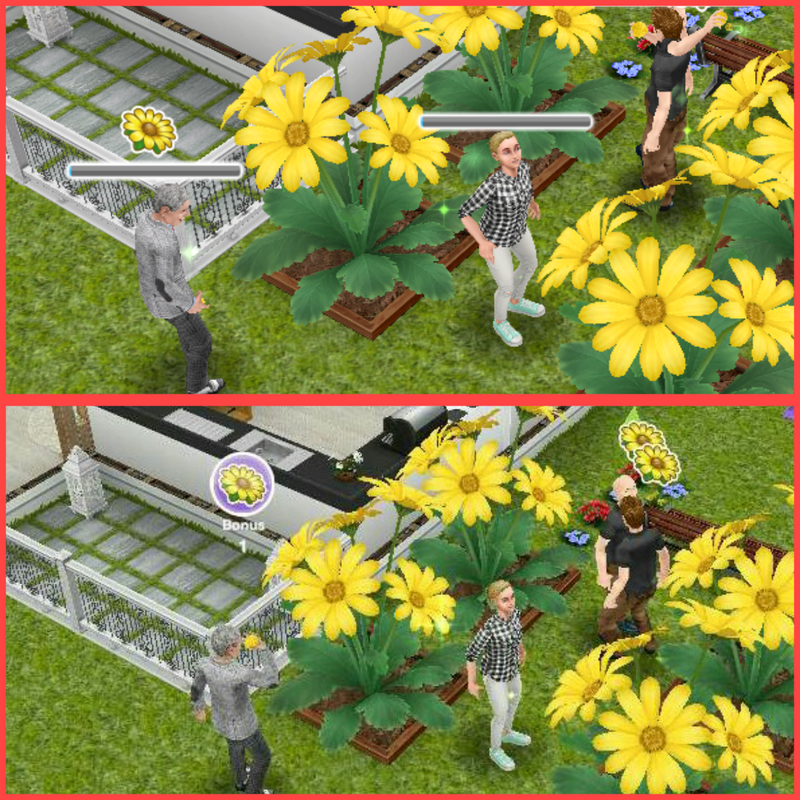 and the aim is to collect enough flowers from the new giant flower blooms (found in the event tab of buy mode) to unlock all the items in this event! 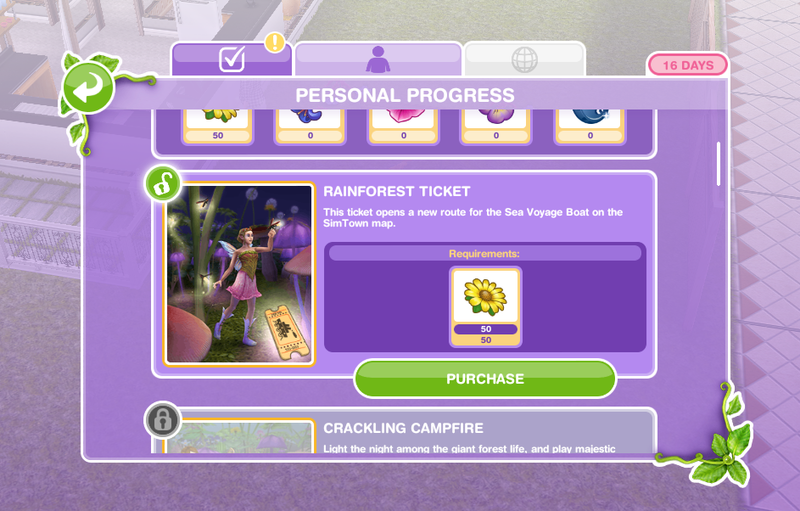 Here you will see you have unlocked the rainforest ticket! 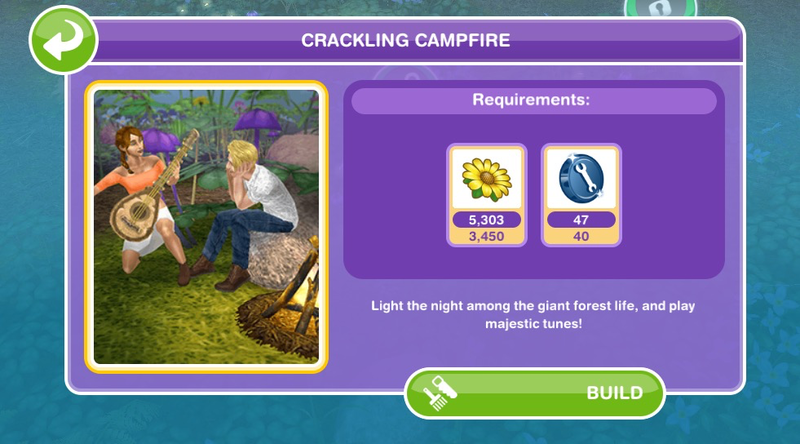 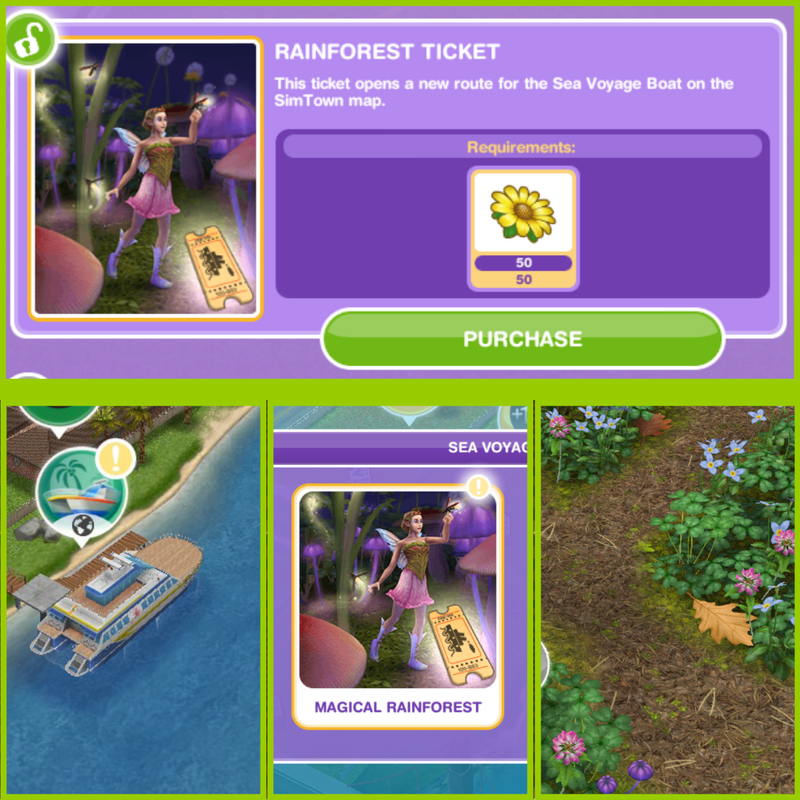 NOTE: you will see two destinations on the boat, if the Tropical Romance Island is locked then you will have to wait for them to bring that community event back again before you can go there but you can still access the Magical Rainforest for this event! 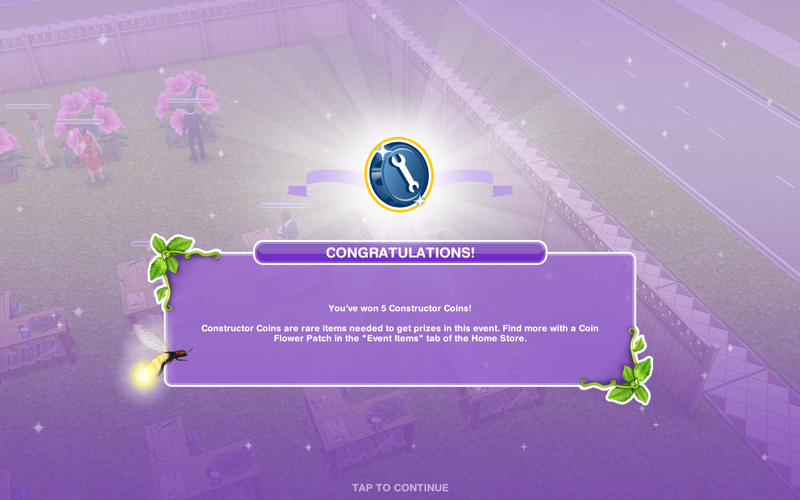 Remember to claim your rewards to earn constructor coins! Continue collecting flowers- this is the last step but the event is not over, keep collecting flowers to unlock everything before the time is up! 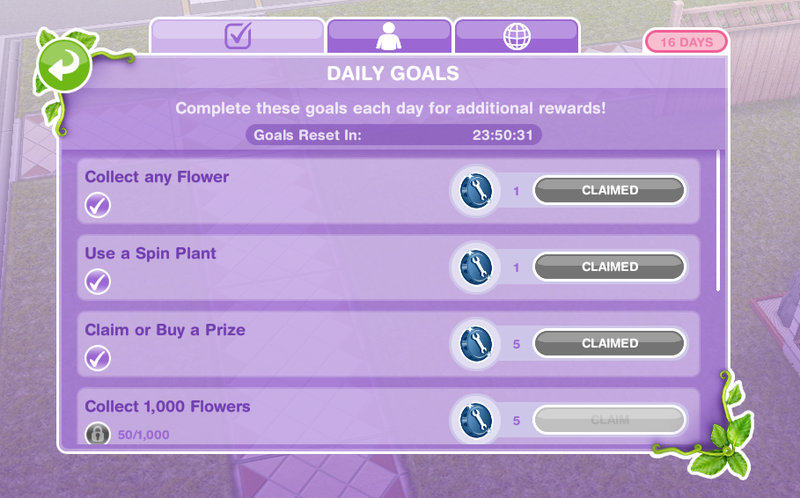 If you want to speed up a collect flowers action it will cost you SPs, you will get the bonus flowers as well if you speed it up! 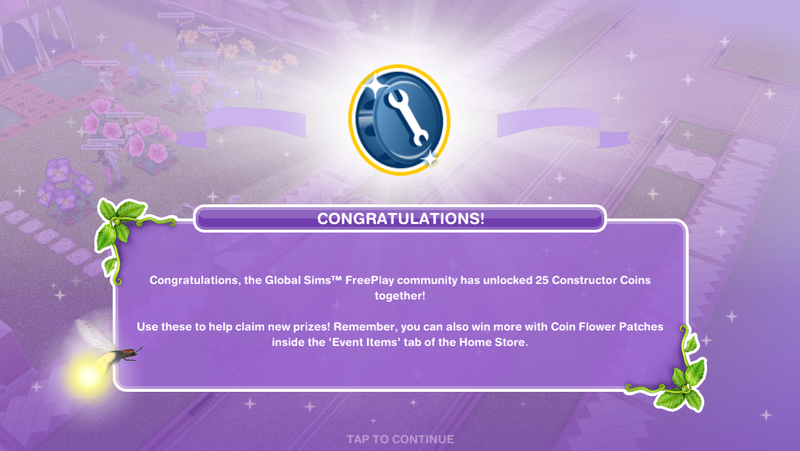 NOTE: remember to click CLAIM once you have completed a daily goal to collect the reward and remember to claim your free constructor coin and free daisies each day! 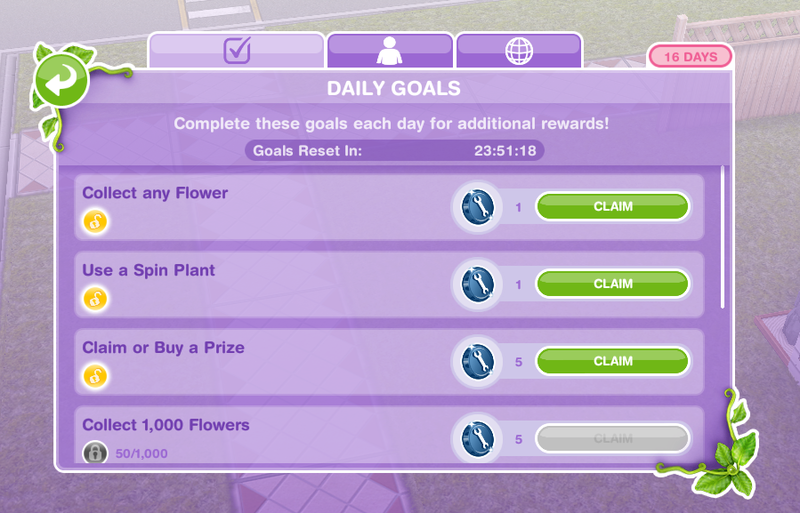 How do I claim or buy a prize to complete a daily goal? 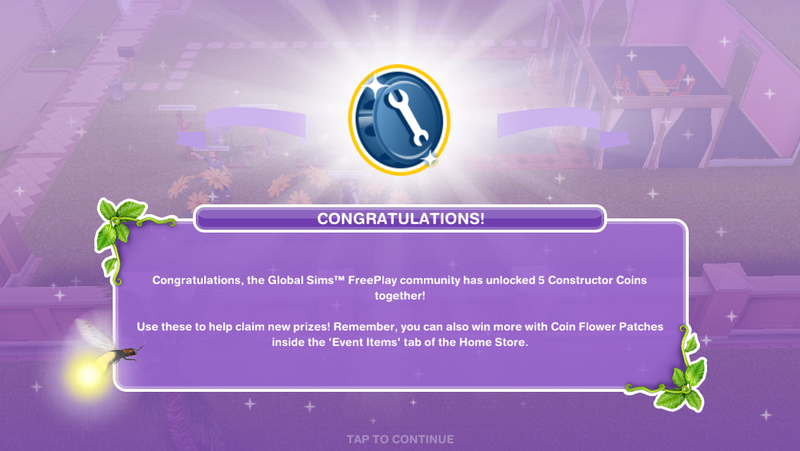 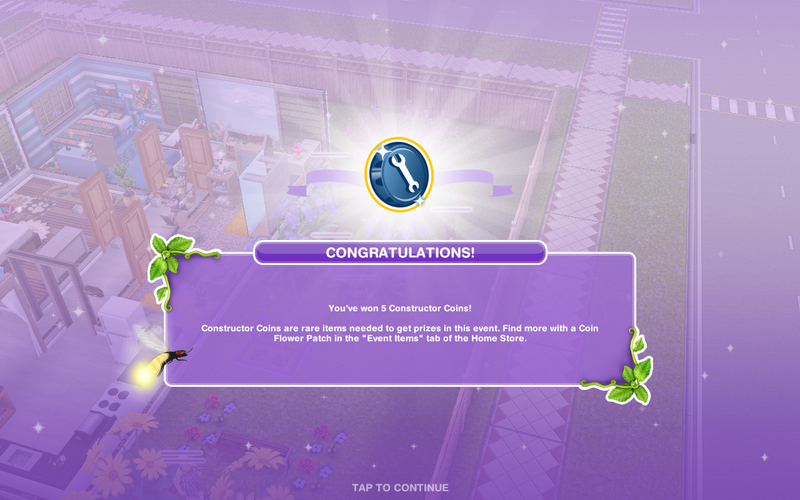 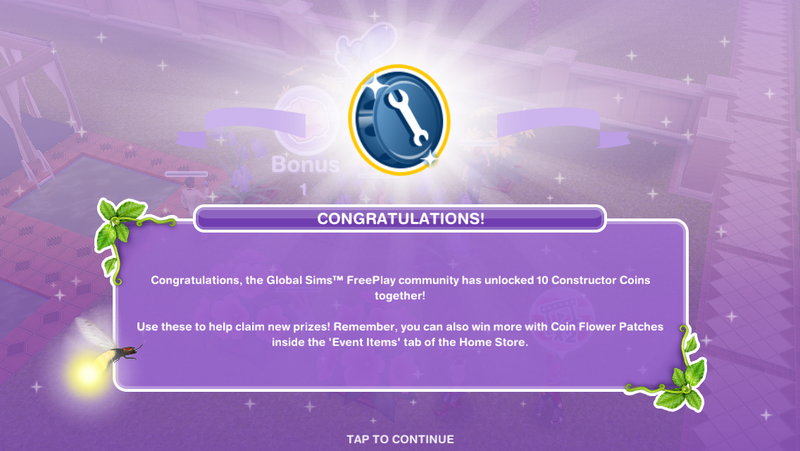 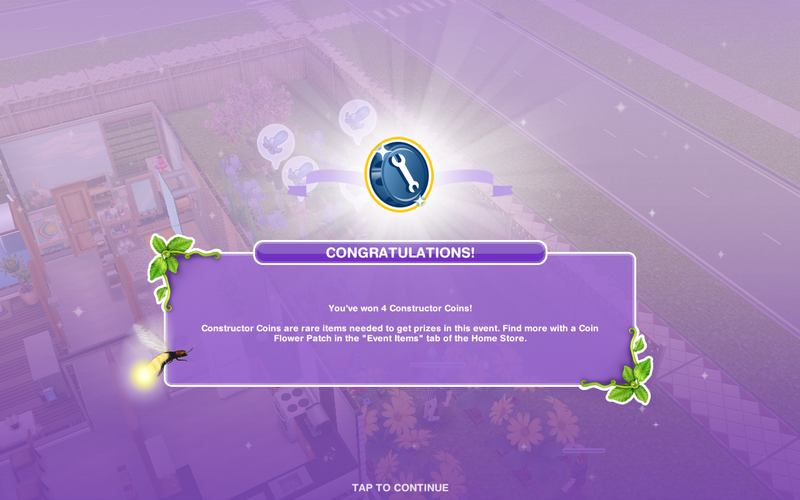 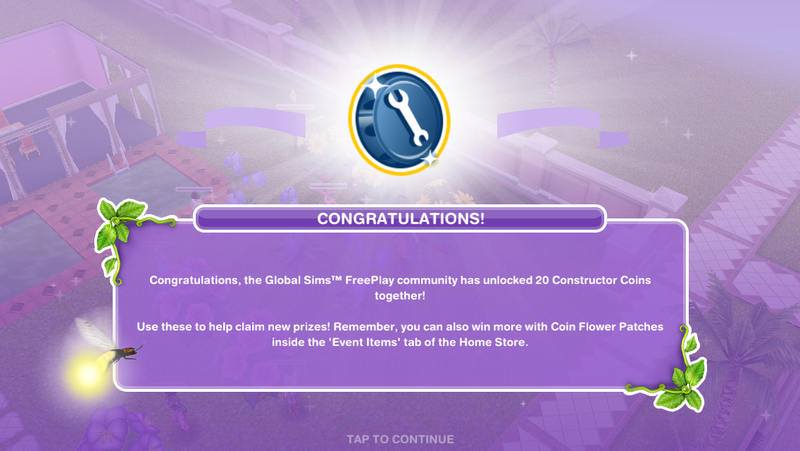 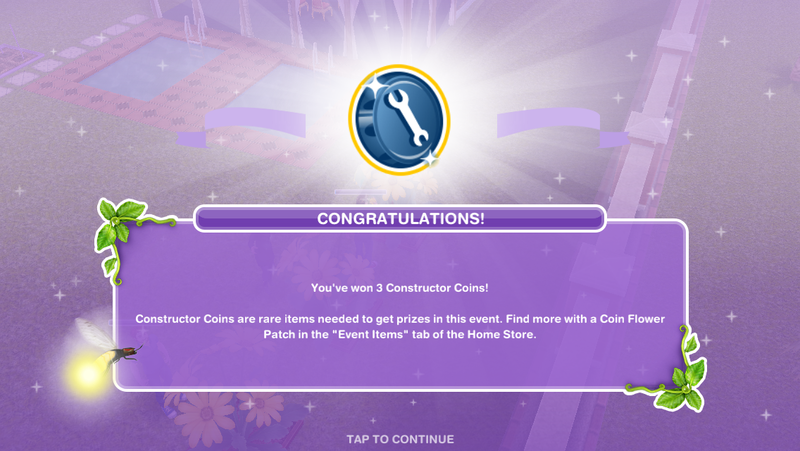 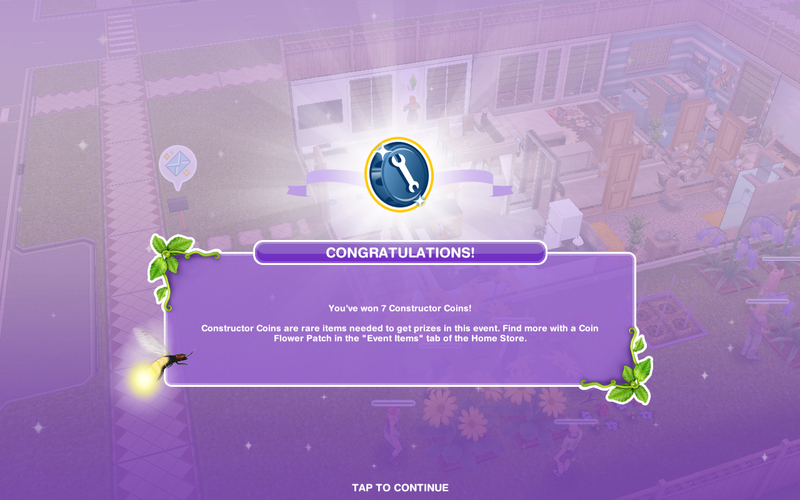 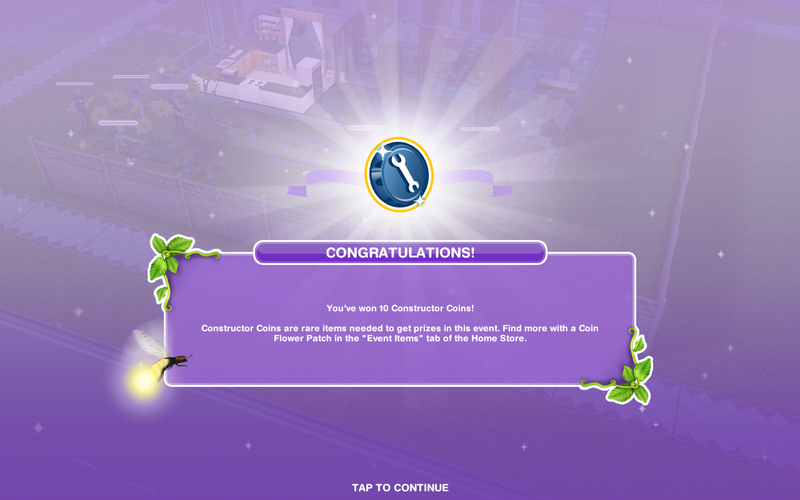 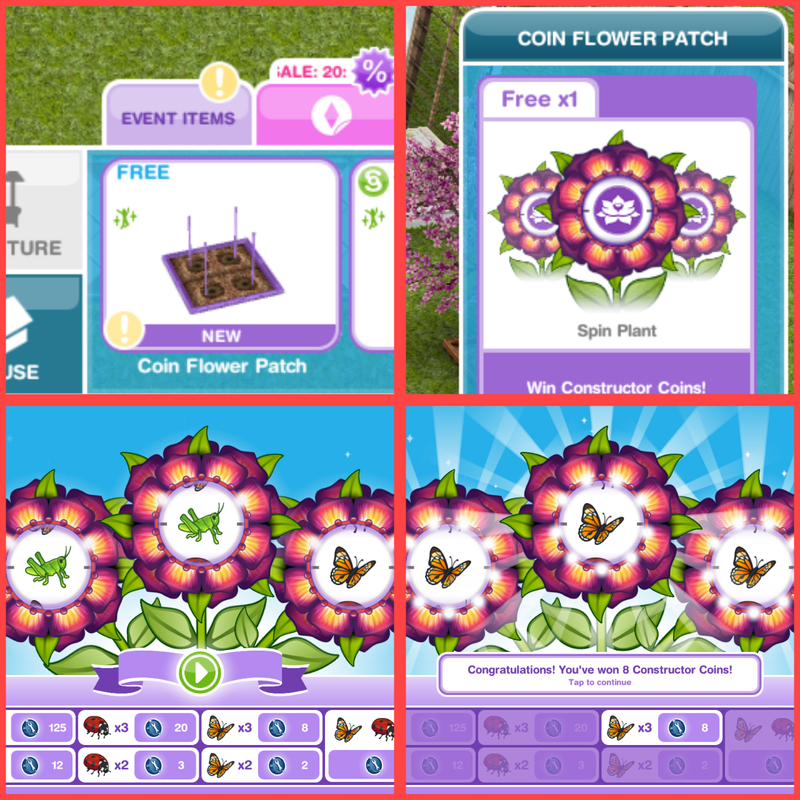 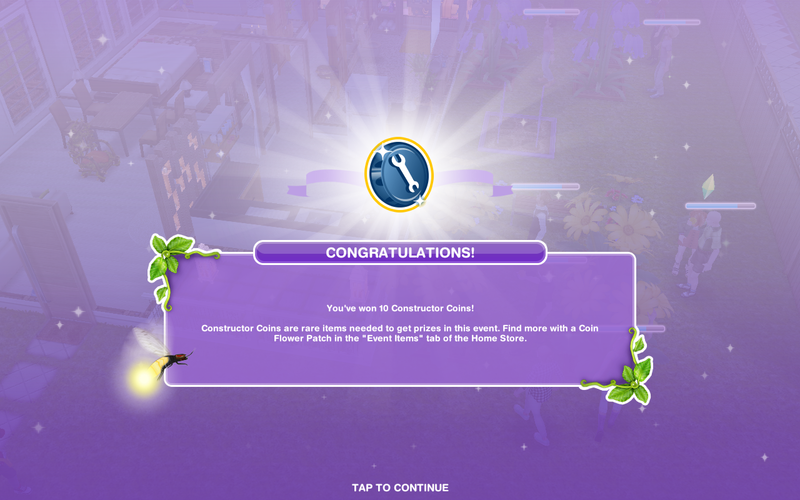 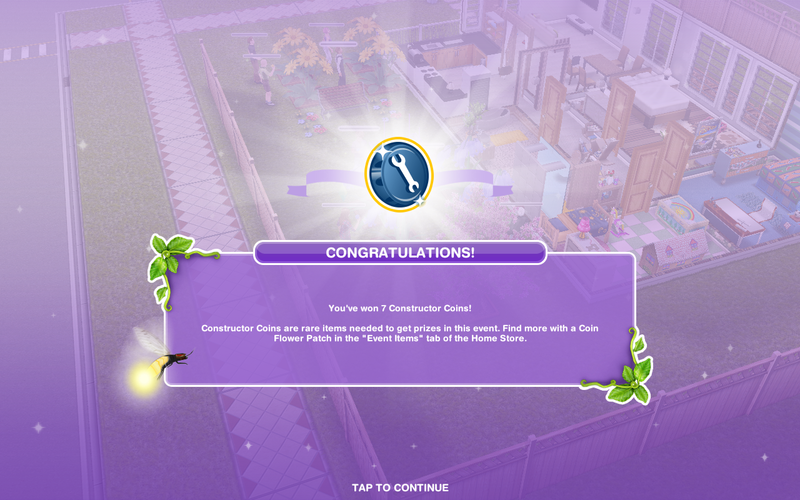 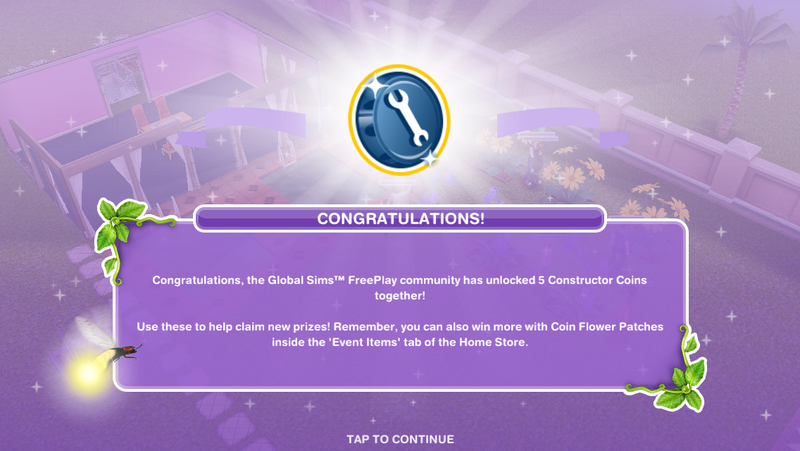 TIP: if you have already claimed or brought a prize that day maybe wait until the next just incase you don’t have enough flowers or coins to buy or there isn’t one to claim the next day, this way you will still be able to complete all the goals and earn your bonus constructor coins! 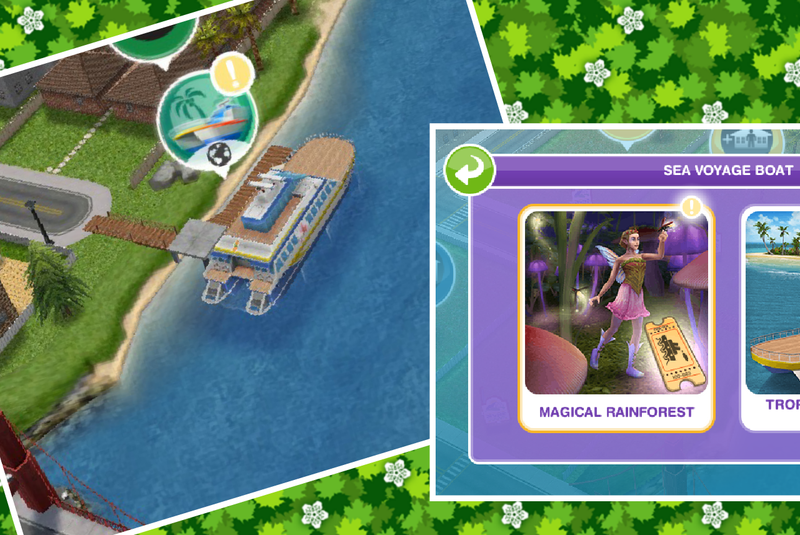 This allows you to access the Magical Rainforest from the Sea Voyage Boat! 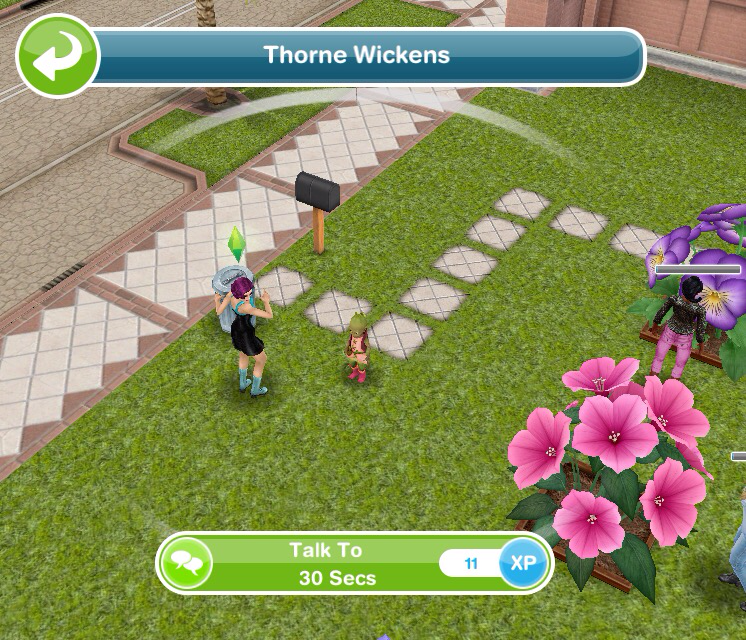 Once built you can have one sim serenade another! 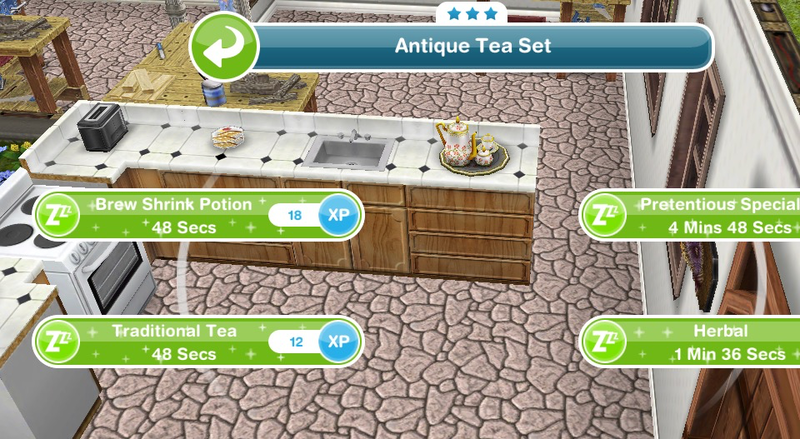 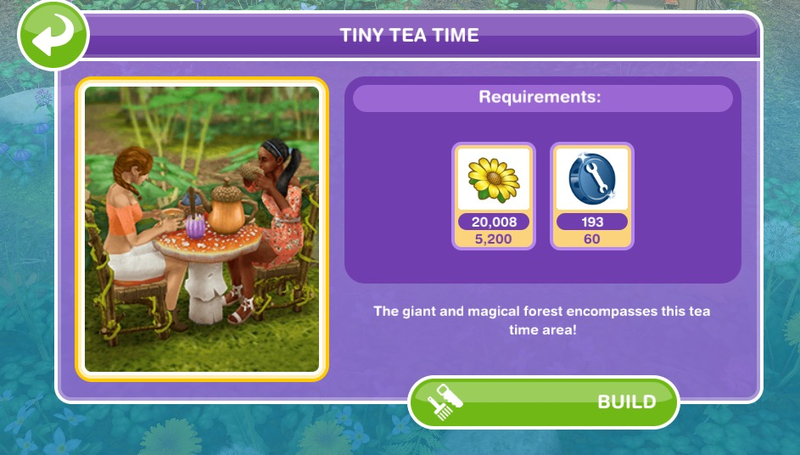 Once built two sims can have a tiny tea party! 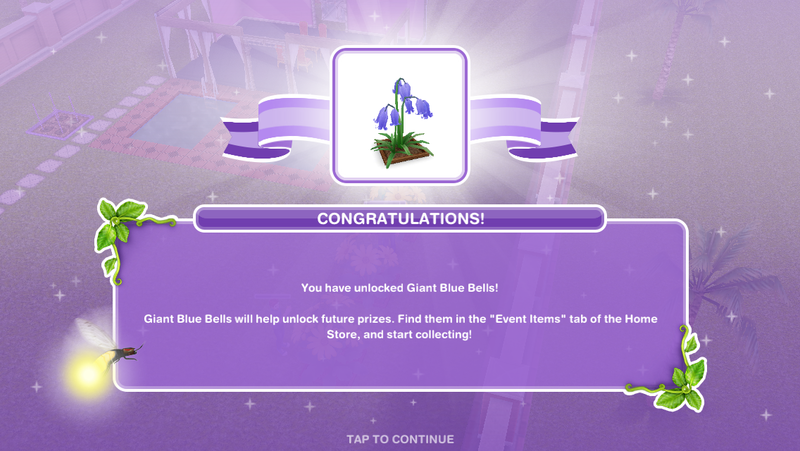 5.Giant Blue Bells- this is another flower bloom you will need to be able to collect more flowers! 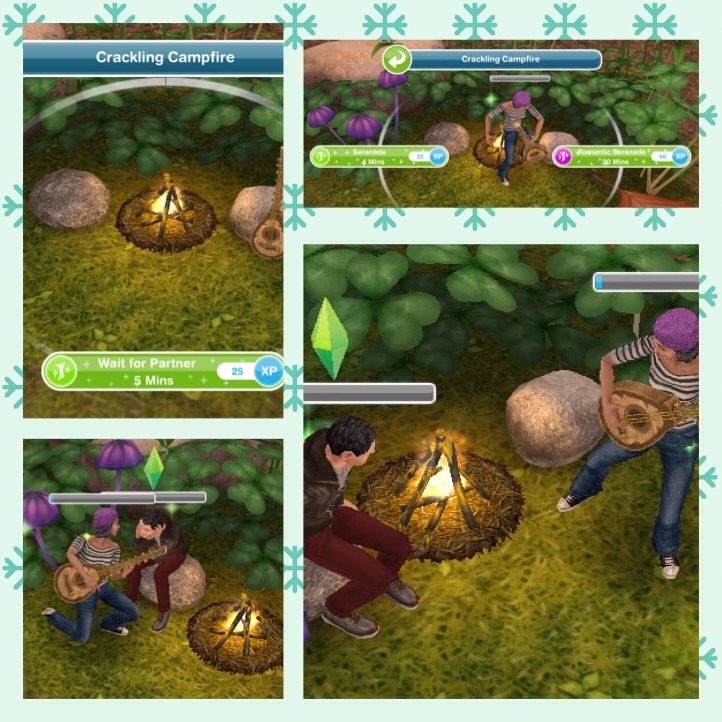 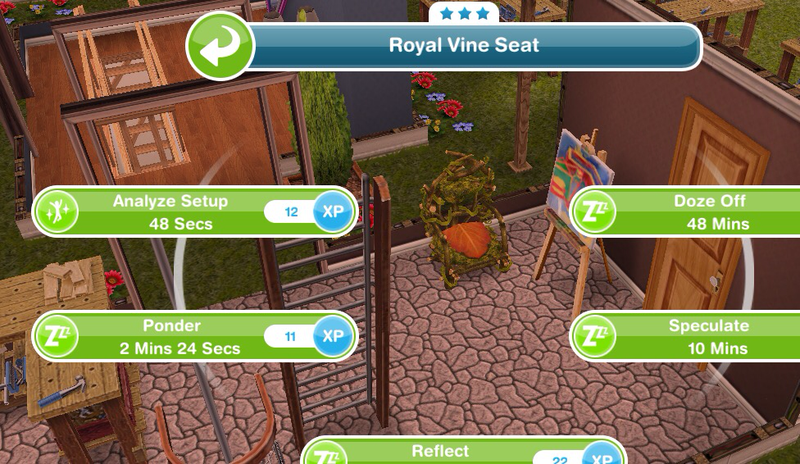 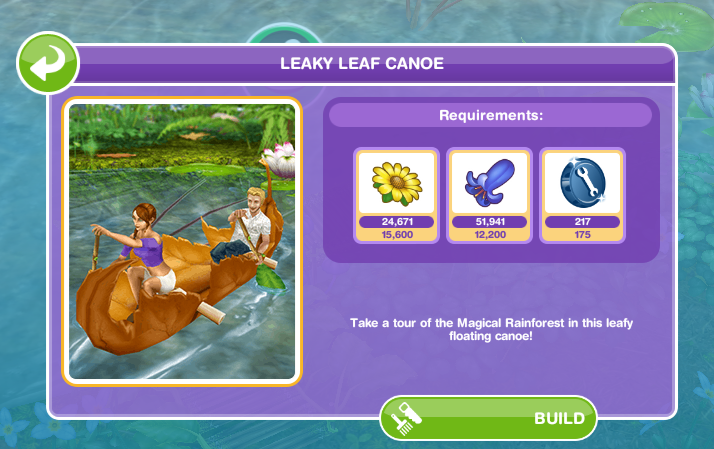 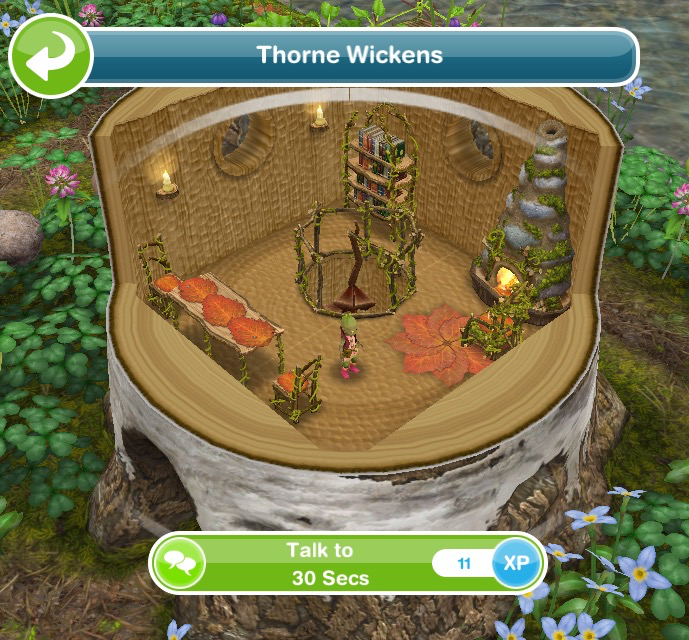 Once built one or two sims can take a trip in the leaf canoe! 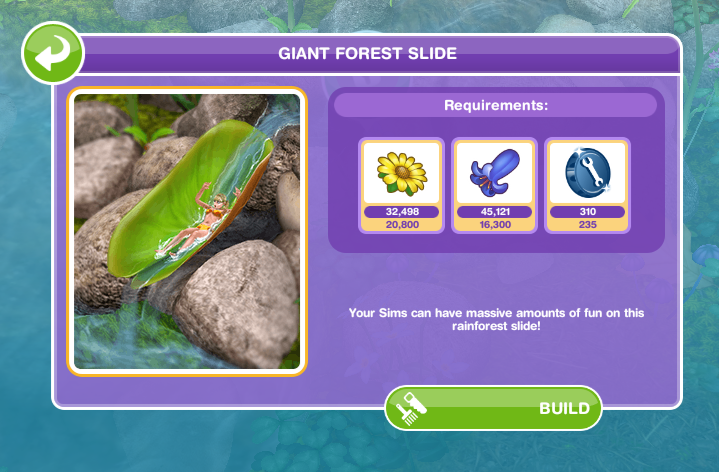 Once built a sim can slide into the lake! 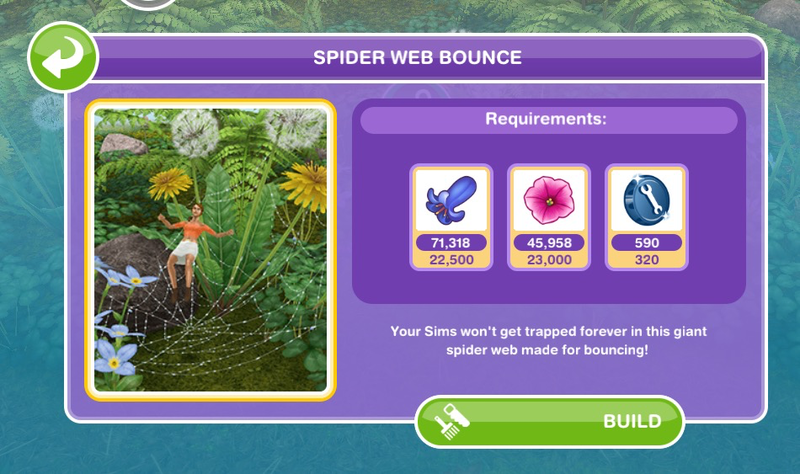 Once built a sim can enjoy a bounce! 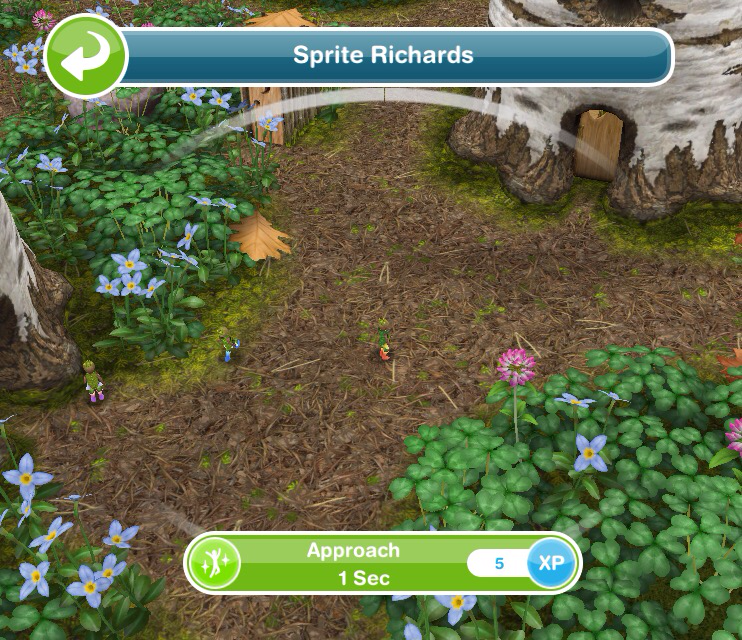 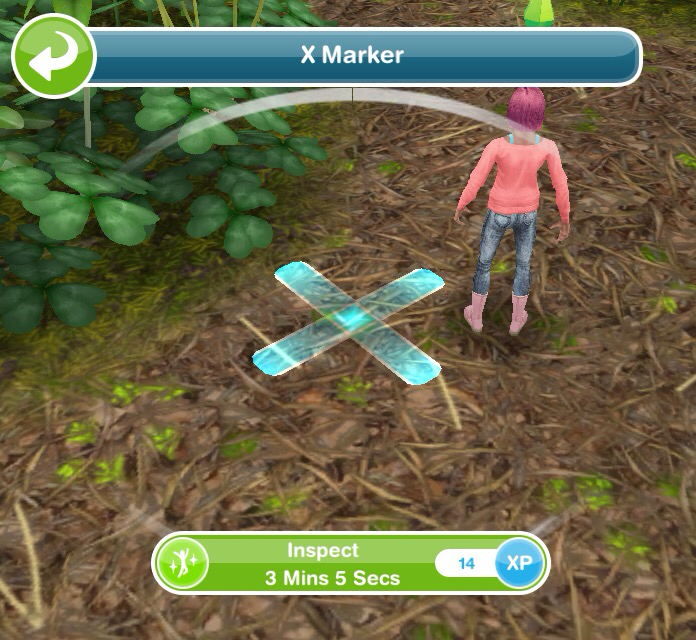 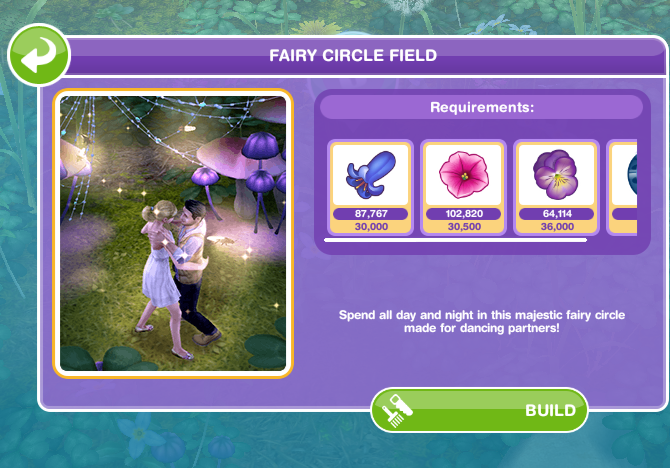 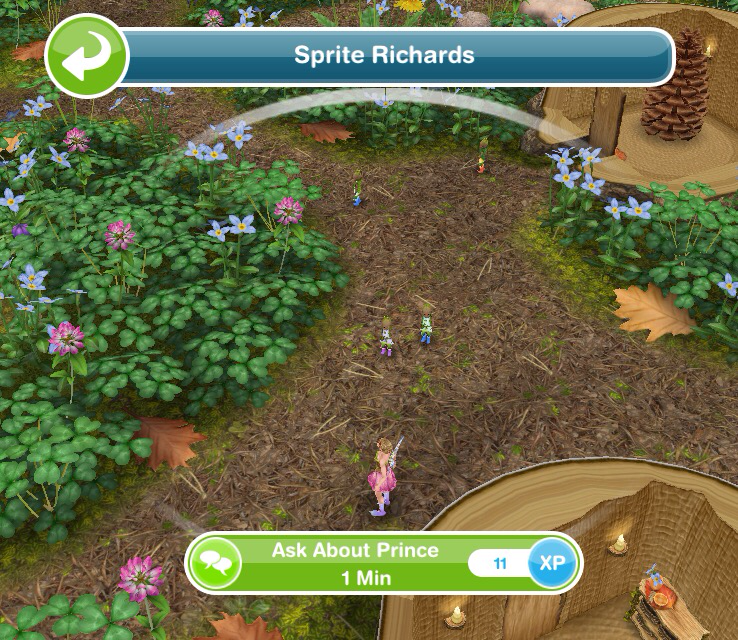 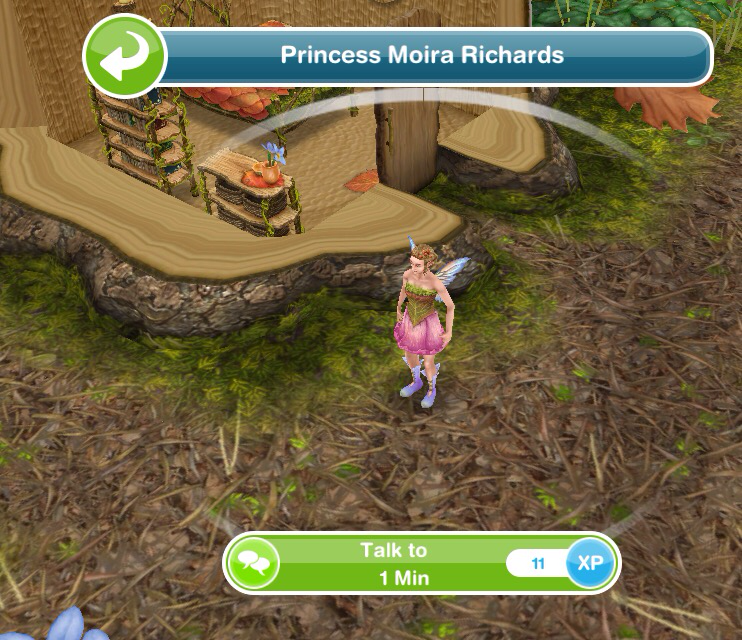 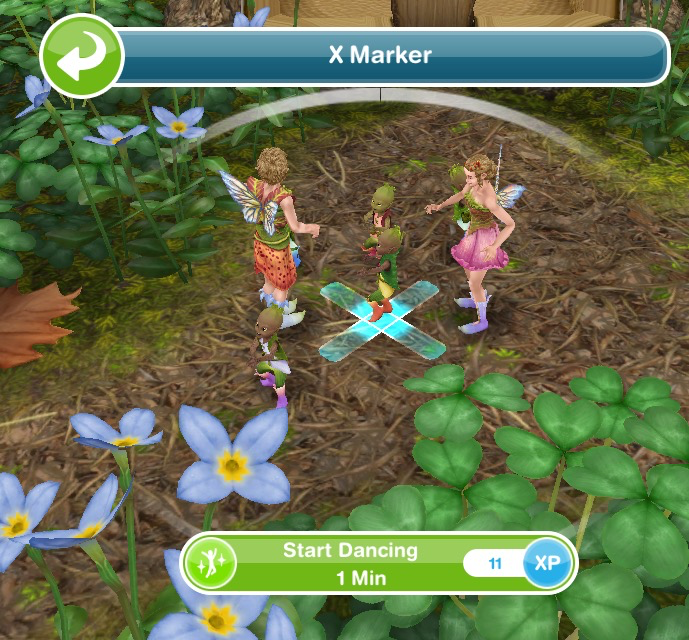 Once built two sims can have a fairy dance! 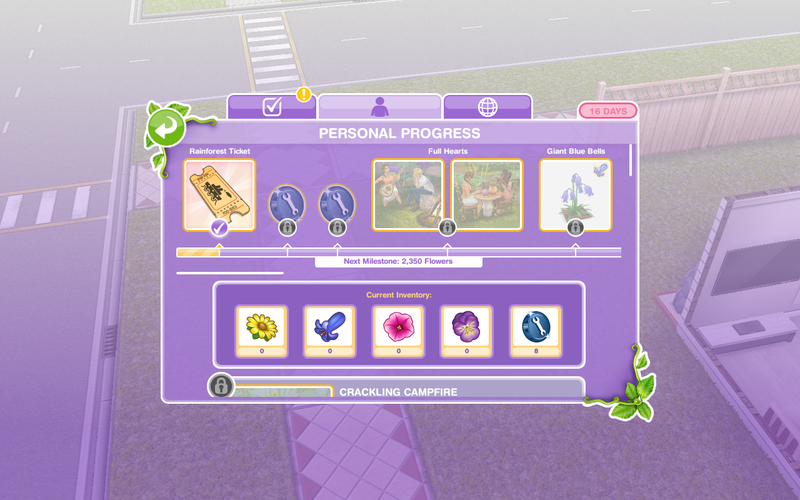 That is all the personal progress prizes! 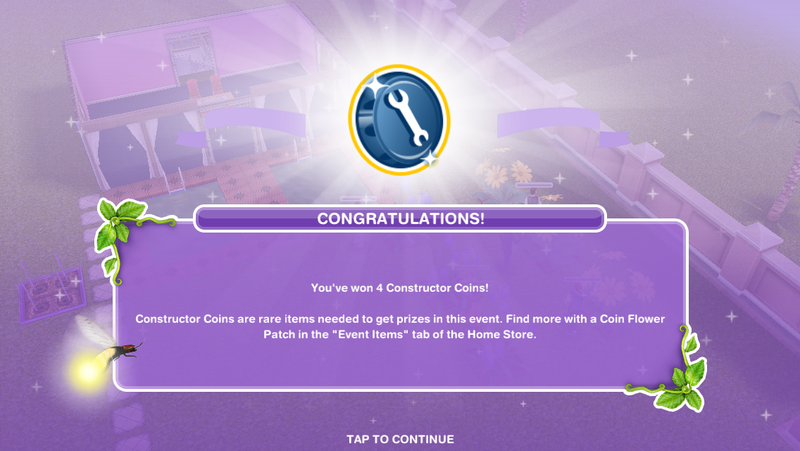 I can’t believe the last constructor coin reward is only 10! The community progress is the combined progress of all players flowers collected to unlock new chapters which unlock new items for all of us! 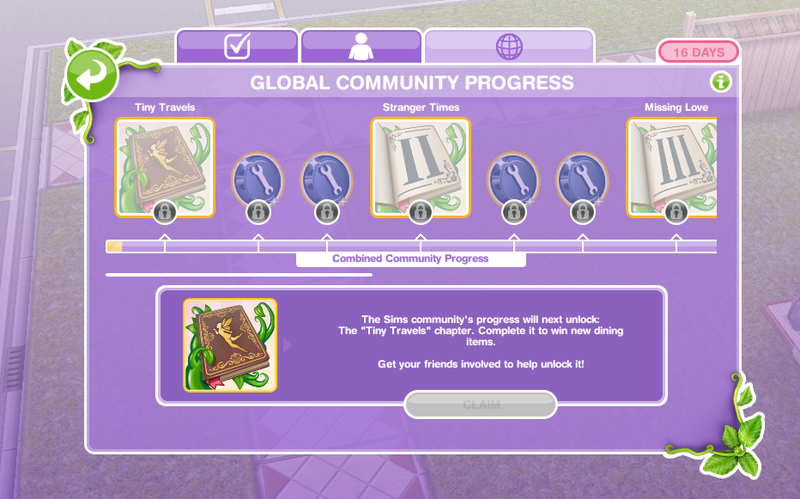 This community event is different because each chapter we unlock is part of a quest, once we finish that chapter we unlock the furniture you can see in my early access post. 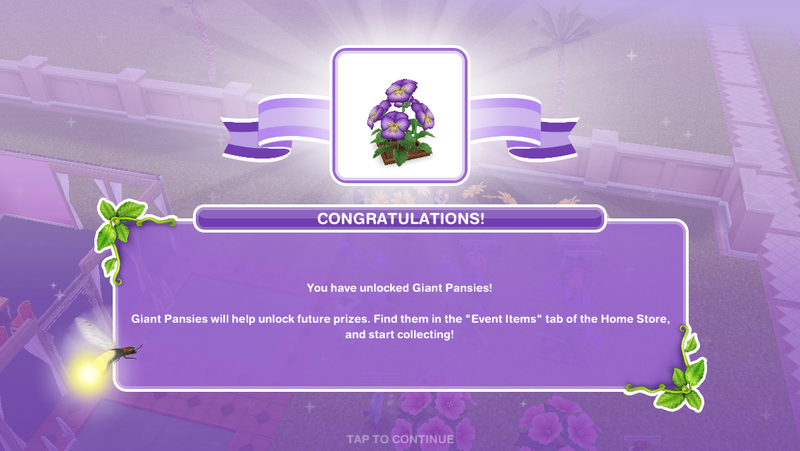 I will be added information and pictures of all the goals and the prizes as we unlock them. 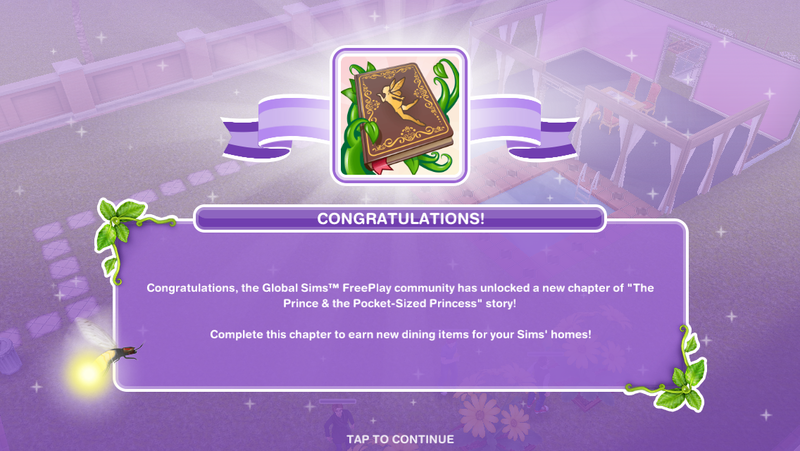 Unlock the next chapter- when we all unlock the next chapter you will be able to do the next set of goals! 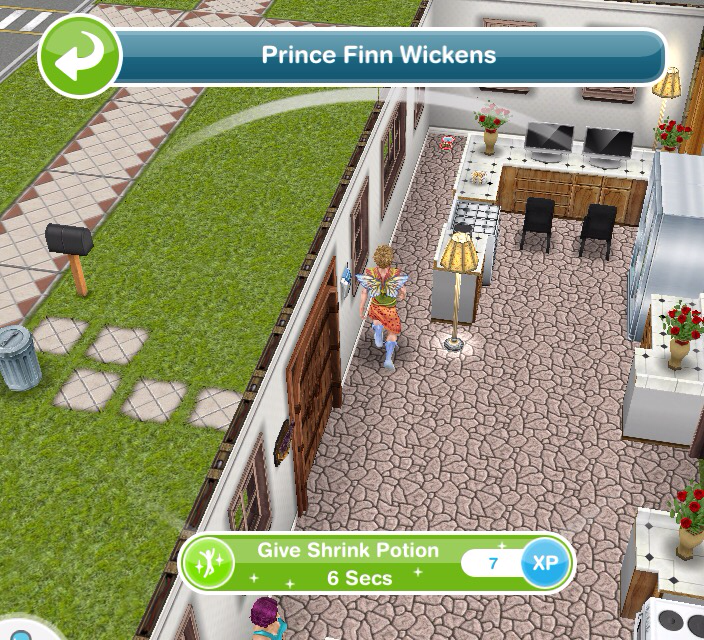 ‘Prince Finn once said his favourite hobby is to sit down with a good adventure’ what was he doing when he disappeared? 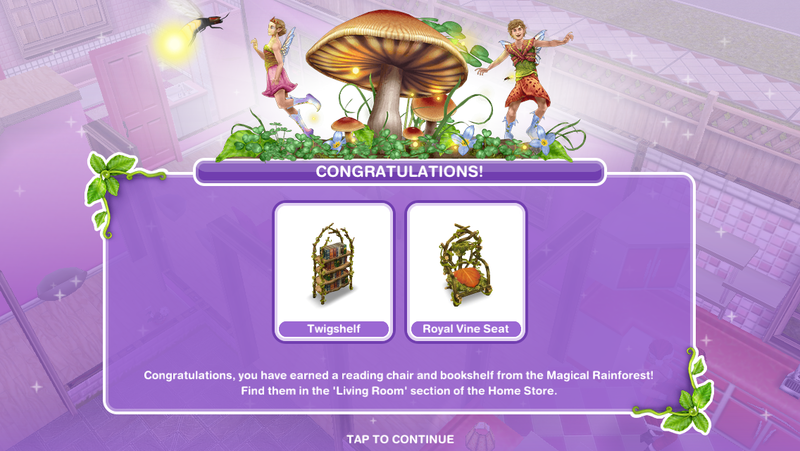 If you don’t know the answer is: Reading! 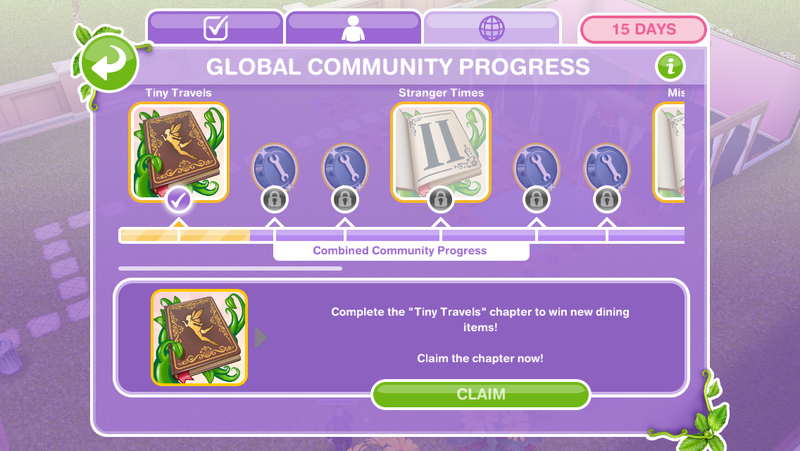 Unlock the final chapter- when we all unlock the next chapter you will be able to do the final set of goals! 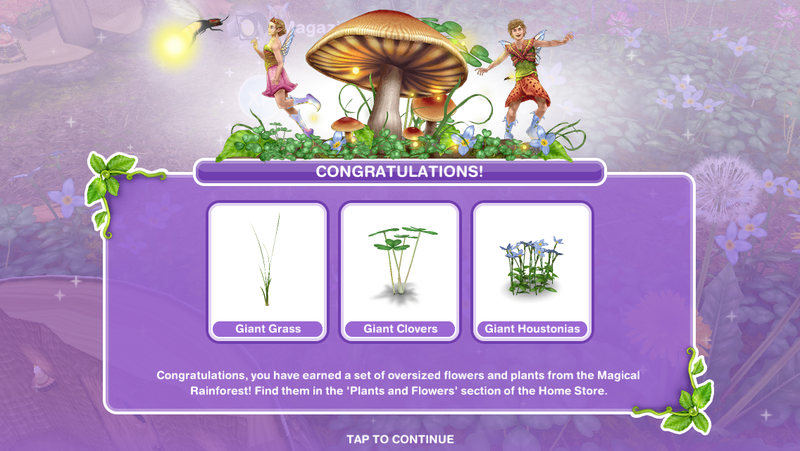 16.Harmony- complete these goals to unlock oversized plants! We have unlocked all the community prizes! 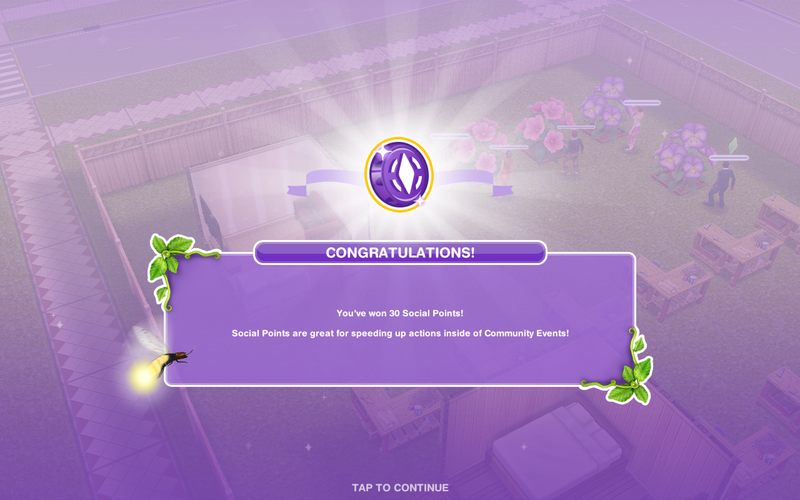 <- Find this post helpful?